Had an easy ride to Penong – 73 Kms in pleasant warm conditions with mostly favorable winds. Staying in the hotel here tonight and getting ready for a massive day tomorrow with big plans to make some serious Kms. 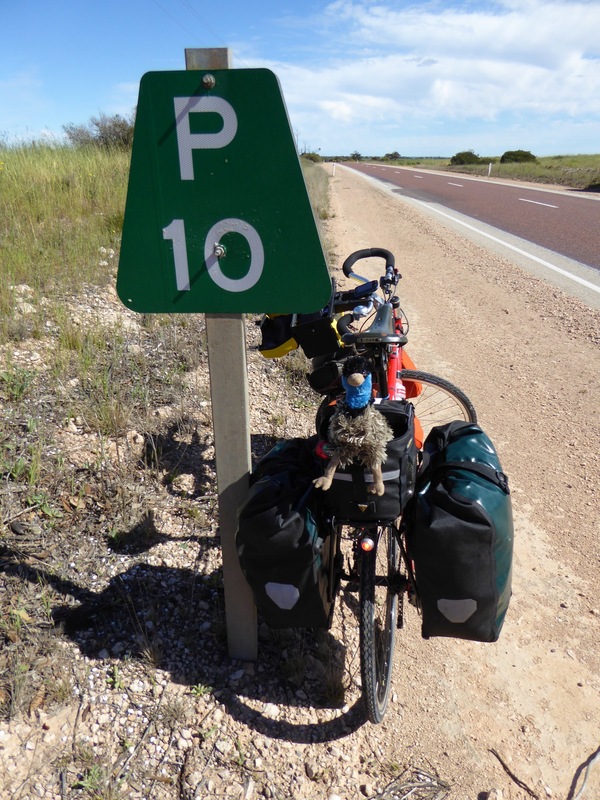 Need to get to Nullarbor before some really strong winds hit the area. Met Georgie and here support driver Peter who are heading in the opposite direction. 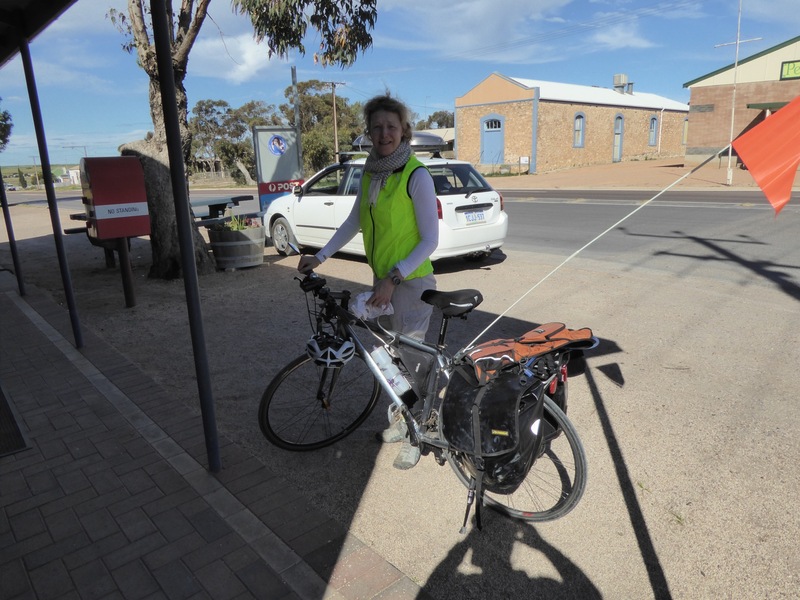 She began her ride from Norseman. She has been raising funds for Alzheimer’s after recently having cared for her father who died after having contended with this affliction. 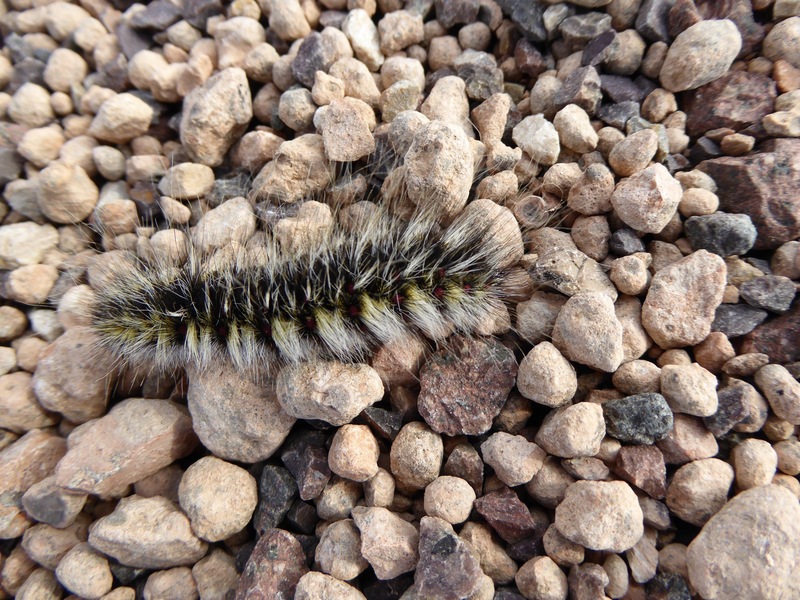 She reports some other cyclists heading from the west so I will be meeting some others I guess as this trip evolves. Will catch up over dinner and swap notes etc. 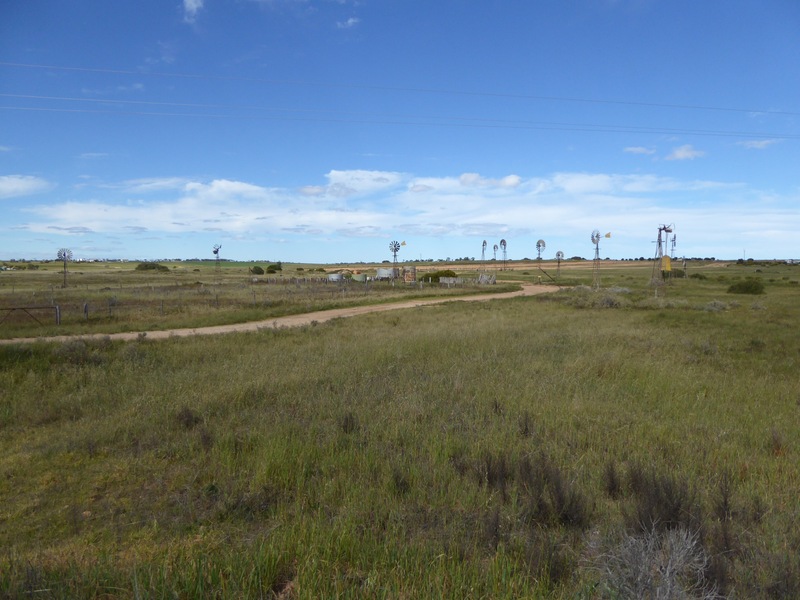 Penong is a very small settlement located on the Western edge of South Australia’s grain growing belt. 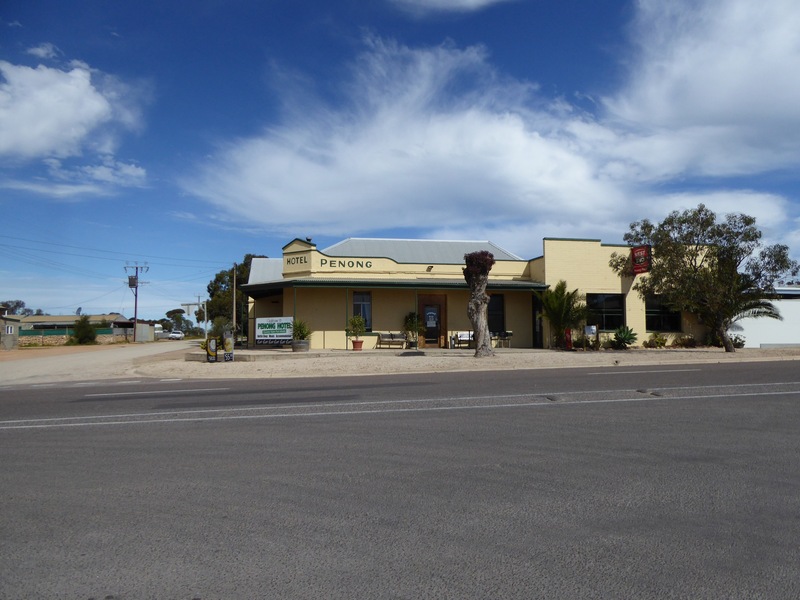 The town itself is an easy 75 kilometres drive to the west of Ceduna, or coming from the opposite direction it is situated 78 kilometres east of Nundroo Roadhouse. Scattered around Penong are dozens of windmills that pump water from the Anjutabie water Basin. This water is supplemented by the use of rain water and water is also carted by truck from a reticulated water supply connected to the Tod River pipeline some 15 kilometres east of Penong. South of Penong are massive deposits of salt and gypsum in Lake McDonnell. Each year 100,000 tonnes of salt are harvested from brine pools and exported from Port Thevenard to the eastern States. Lake McDonnell’s gypsum deposits are the largest in the Southern Hemisphere and cover an area of 87 square kilometres to an average depth of 4.8 metres. That’s a lot of gypsum. Cactus Beach is located 21 kilometres south of Penong and surfers from around the world and Australia frequent the area to surf 1 right hand and 2 left hand breaks. Sharlene had a great day too – warmed up enough for her to do a little preening and soak up some sunshine.